Most of the independent eyecare professionals don't have any experience of import and export, which is also an important reason that block doctors to buy eyeglasses from overseas directly. With over 10 years of exporting experience, we have enough background to deal with different customs all over the world. In Opticians Club, we make it smooth and easy. Do I need to prepare customs paperwork? 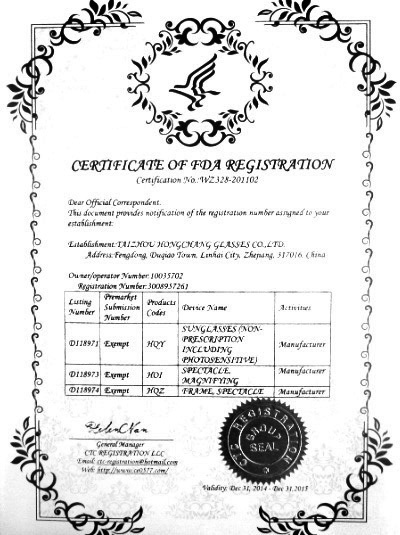 All of our products have required certificate. CE for Europe and FDA for USA market. We prepare all paperwork and documents requested prior to shipment without extra charge, and our logistics team works closely with air express (UPS, DHL, FedEx, etc) to work out customs clearance. All you have to do is drinking a café and waiting your desired frames reach your office front door. How much I need to pay for Customs Duty? 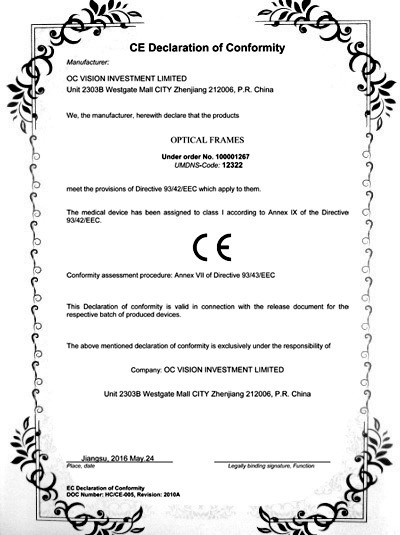 You may worry about paying high tax and duty and complexity when importing frames from overseas. Actually, there are no tricks in the process, it is pretty transparent. All air express, like UPS/DHL/FedEx/TNT, will prepay the customs duty, and collect from your account when delivering the shipment, the charge is fixed and predictable. Note: Duty rate varies from different countries. We can offer a tailored solution for your country. Your region account manager will contact you before shipment to confirm the details.